April showers might bring May flowers, but they also bring large quantities of water into your yard. When this water accumulates, it not only damages your grass but can also cause more severe damage. Over time, standing water can damage your house’s concrete foundation, resulting in expensive repairs. Also, mosquitos and bacteria make their home in these conditions, so proper water drainage is critical to keeping your family healthy and pest-free. Landscaping for water drainage can prevent standing water from building up in your yard and save you time and money. If you are located in the Maryland area, be sure to find out if your property is classified as a nontidal wetland. Nontidal wetlands are protected by state and federal laws, and could carry penalties if you do not obtain proper documentation before you begin your project. To do this, first figure out if your property is located on lands that are considered nontidal wetlands. If it is, all you need to do is submit a permit application to the Maryland Department of the Environment. If you live in an area where more than one agency needs to review your application, the Maryland Department of the Environment will forward it to the necessary recipients. The primary use for fill dirt in landscaping for water drainage is filling in small holes where rainwater. It is critical that the fill dirt you use is free of organic matter so that it does not shift as a result of changes in weather. Before filling in the dips in your yard, be sure to remove any plants, leaves, and other materials including grass. Fill dirt should be placed directly on top of the existing soil for the best results. 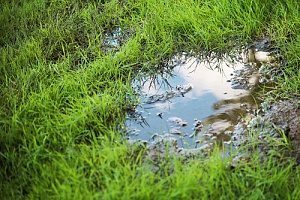 If the large amounts of rain accumulation have damaged your grass, you can use fill dirt to promote a better environment for the next generation of grasses. To begin, fill the indentations where the water has been accumulating with fill dirt. Next, you can choose to use either sod or grass seed, depending on your preferences. If you are using sod, apply it in a way that prevents water from accumulating on the up-slope side. If you are using grass seeds, there are several things you can do to promote optimal growth. The most advantageous is to lay a thin layer of straw on top of the freshly planted seeds. Grass seeds are an easy target for hungry backyard birds, and placing the straw on top of the seeds discourages the birds from making your seeds their midday snack. Straw also enhances germination, so your grass will be green and lush more quickly. 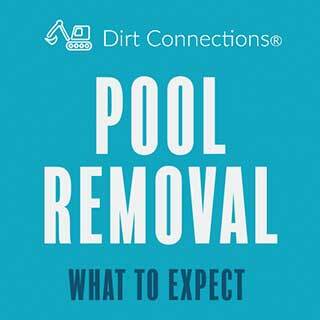 If you have a ditch in your backyard that turns into a dirty swimming pool with every rain storm, fill dirt can help with that too. Ditches are nature’s water drainage system. A ditch is created by water making its way out of your yard over a period of years. Generally, ditches lead to a low level area where water can collect, either in the form of a pond, lake, or marsh land. However, over time ditches can get clogged with leaves and other debris, making them hard to navigate. While your initial impulse may be to just fill in the whole ditch with fill dirt, it is not a good idea to do so. The ditch was created because the water needed a way to leave the area, so filling it in could cause flooding in your yard or your neighbors’. Instead, take a rake and clear out as much debris as you can. After this, it is time to assess the size of your ditch. For a ditch to effectively drain water, it should be a foot wide and a foot deep. If your ditch’s measurements are under these, you can take a shovel and modify the ditch so it will drain water as efficiently as possible. If your ditch already has the minimum dimensions, you can widen or deepen it if you choose, or you can leave it the way it is. After this, create a layer of fill dirt on top of the existing dirt. Then line the ditch with permeable fabric and place approximately an inch of gravel along the interior of the ditch. Now your ditch processes water better and has the added bonus of being more aesthetically pleasing. Drains are an effective way to ensure that water makes its way into the pipes where it belongs. 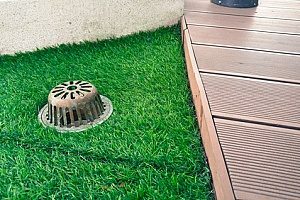 For a drain to work well, it should be at the bottom of a sloped area. If your yard does not naturally drain to a central point, you can use fill dirt to adjust the incline of your property, making some levels higher and some levels lower depending on which areas need the most drainage. 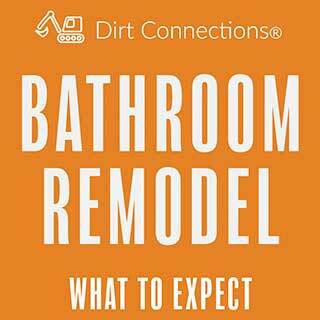 This project may require more professional assistance than the ones mentioned above, so before starting this project, it would be wise to speak with a Maryland fill dirt contractor so you know what to expect if professional help is required. Now that you have some ideas for landscaping for water drainage, it is time to make those dreams a reality. 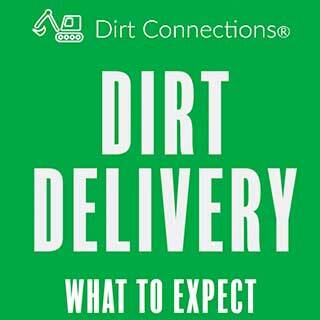 To ensure that your yard is in good hands and to obtain the best Maryland fill dirt, contact Dirt Connections to speak to a Maryland fill dirt contractor today. 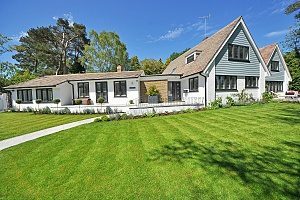 These contractors will be able to give you the assistance you need to find the best fill dirt and to keep your yard drained and looking its best.